Did you know that our latest book, Catechism of the Seven Sacraments, includes a detailed guide on how to pray the Rosary? 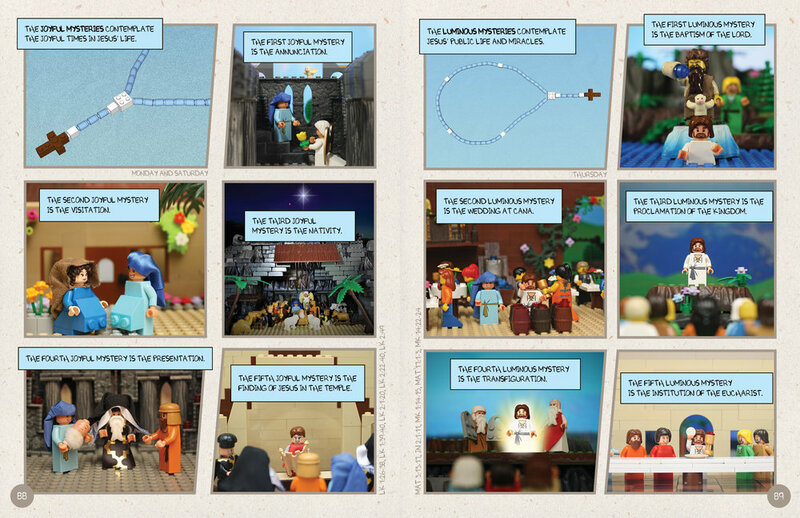 The Rosary section has a clever diagram for beginners on the different parts of the rosary. This is followed by colorful illustrations and in-depth explanations on each decade of each mystery. Finally, in a clever twist on the classic building block paper toy instructions, detailed direction is given on each prayer, and when to say them. Preview the enitre section of the book below. Resellers: order the full book here. Individual retail: order here.